Fill a large saucepot with 4 inches of water. 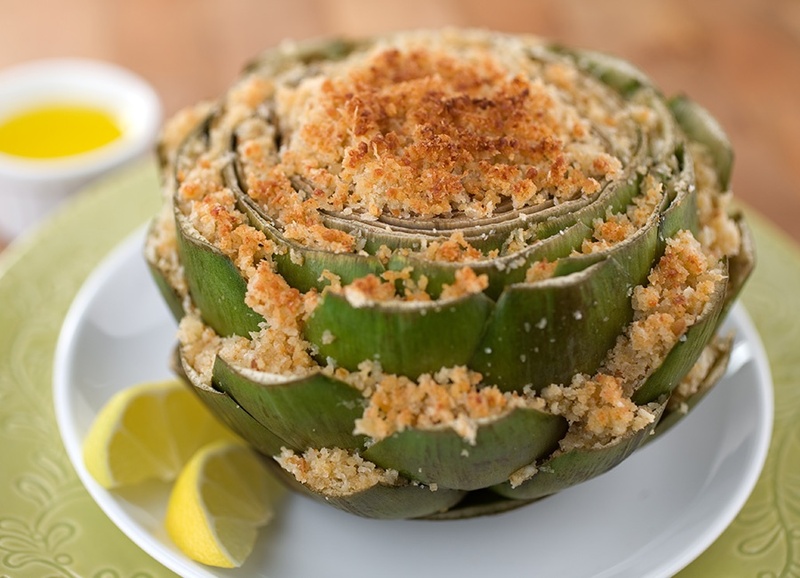 Insert a steamer rack above the water, place the stuffed artichokes on rack, then cover. Turn stove on high. Once water starts boiling, lower the temperature to simmer. Cook for 1 hour 15 minutes, or until leaves are tender.